The Charing Cross Station is the fifth busiest terminal in the city. It is located in Central London, in the City of Westminster,WC2 5HS. The station is preferred by many tourists for its central position, therefore close to multiple London attractions. For the same reason, Charing Cross Station offers her travelers the chance to get to their desired locations in central London: The Strand (It is over three-quarters of a mile thoroughfare, part of the A4 road, which was used since the Roman period. It can be considered an architectural museum, with its large mansions, townhouses and palaces – a headquarters of the old sociality. ), Trafalgar Square, National Gallery (locations that are only a couple of hundred metres away) and Piccadilly. 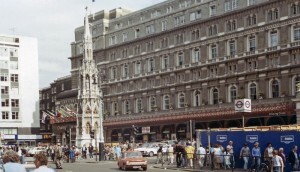 The actual site of the station, consisting in the addition of the Charing Cross Hotel was opened in May 15, 1865 and it is built in the French Renaissance style. However, just one year earlier, the passengers became acquainted with the original station consisting in just one single span wrought iron roof that was covering six platforms. Since 1864, the old Hungerford Market left its place to the central London station. In front of the station we can find a famous monument that dates from 1290, a monument that is a living memory of the old times, when Charing Cross (the Hamlet of Charing) became the official centre of the city of London. History says that Queen Eleanor’s body rested here en route on the way to her forever resting place, still located in Westminster Abbey. After her death, it is said that her husband, king Edward I ordered 12 Eleanor crosses, in the memory of his beloved wife, that were placed on the route from Lincoln to her burier place. The last one stood until 1647 in the South side of Trafalgar Square. Distances in London are officially measured from the original site of the cross in Whitehall, now the statue of Charles I, therefore marking the area the “ground zero” point of London. Just nearby the statue, Charing Cross area can be considered the most central public place in London. 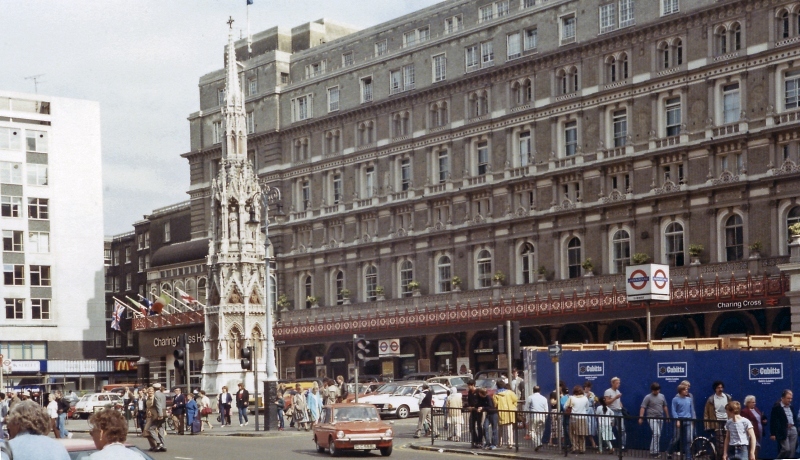 The original 13th century Whitehall Cross, demolished in 1647 has been rebuilt in Charing Cross Station forecourt, very much like the original, bearing the historical name of “Eleanor Cross”. In the same time, the Charing Cross Hotel was built. Our company can offer you a taxi from Stansted Airport to Charing Cross Station. The journey takes about one hour and thirty minutes, with traffic time included. The route will take you to M11 motorway and the N Circular Way that is passing just near Wanstead Park after which the route continues alongside Thames shore. The destination is right at the end of the famous Strand Street. The standard price for a London Stansted Taxi is £57 for a saloon car – for up to 4 persons, 2 medium suitcases and 2 hand/small bags. For further questions, you can contact us on [email protected].